I see some characteristics in Mandela’s life that we hold dear to in the Hands family. He had an amazing ability to cross cultural barriers. His whole life reflected sacrificial giving. Not only did he spend most of his adult life in prison, but once he was released he continued to live a sacrificial lifestyle. During his time as President of South Africa he gave his full salary every month towards those in poverty. After he completed his career as a politician he started the Nelson Mandela Children’s Fund. He never stopped living a life of giving! He believed in and encouraged others all the time that an individual can make a difference in this world. Each one should just do what he or she can do. Care Workers together in a Maranatha Workshop in ZimbabweIn the beginning of 2013, Hands at Work leaders across Africa came together in Zambia. After a time of prayer and deep introspection, a renewed commitment was made to accept full responsibility for Hands and the vision we believe God gave us to live out. Part of our time together was living in one of the poorest communities with the children and grandmothers we care for. It was a time of deep impact and out of it we developed Maranatha Workshops. Maranatha means, “Come Lord”. These workshops are an invitation for Jesus to come and reveal His Father's heart to the Care Worker. In this time, Care Workers begin to recognise the wounds that are deep within themselves. That due to the wounds they carry, they have often wounded others out of that pain. Now the realisation is being awakened to the One true healer. The One who came to pour His life into their hearts and bring restoration to their lives. The workshops have clarified the different role players in the Hands model and how we can support and encourage each other to reach the children and their Care Workers in the best possible way. Our commitment is to do this workshop in every one of our communities before the end of June 2014. 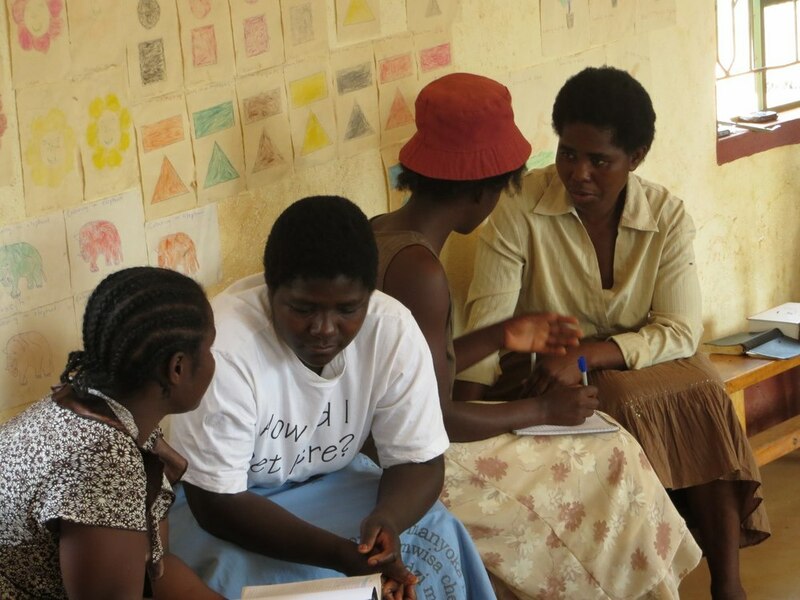 As we end 2013 we have already reached many communities in South Africa, Zimbabwe, Zambia and Malawi. The stories from the workshops are encouraging and we have discovered just how much pain and brokenness exists within the communities. A highlight this year was to see how individuals and families not only visited us in Africa, but how they went home and mobilised their international communities to adopt the African communities they visited on the ground. We also saw short-term volunteers return home and then bring teams to Africa. They refused to just carry on living their lives as they had before coming to Africa. They became advocates among their circles of influence. I stayed in the homes of families all over the world where they would show me photos of our children in Africa and tell me those children’s names. They were praying for them every day! In 2013 we had our first advocacy day in Chicago and friends of Hands came from all over the US to join us. A number of people with professional careers have cut back their working hours so they can volunteer their time to support Hands. Their skill and time will make such a difference in the countries where they live, and for us in Africa this is such an encouragement to see people accepting our vision with us and committing themselves to it.